Ever since the Treaty of Lisbon the change of the rotating presidencies of the Council of the European Union poses no great interest, except when something different is happening, for several important positions were created which took over leading functions from the presidencies, thus ensuring succession between them. There were several instances of something different happening so far. The first big difference was when Hungary took over the presidency of the Council for the first time on January 1st 2011. Due to the more authoritarian way of government of the former Communist state the Union’s agenda was taken over by unplanned issues. Poland’s presidency was also memorable, for it had to build a bridge between the euro area and the countries outside it at a time when the Union was brimming with visions for the future of the EU and the euro area in particular. Apropos, Poland took over at the helm right after Hungary. Several presidencies of calmness followed, with the return of old members to the governance of member state affairs in the Council was strongly felt because of the return of predictability. Experience had its say, but also the common views on European values, shared by most of the old members. Despite having a founding member sit behind the wheel on January 1st calmness is far from likely. Expectations are for an even stronger cooling-down of visionariness, which is an attempt to harness two opposing forces. It is exactly this that will make the Dutch presidency different. The reasons for it are hiding behind the “state of the Union”. From the statements of high-ranking Dutch politicians and from the programme of the presidency it is clearly evident that the Union is facing a heavy battle with itself. “Various centrifugal forces, fuelled by a lack of mutual trust, have a tendency to hinder the search for concrete, coherent solutions. The euro crisis revealed a dichotomy between member states firmly in favour of reforms and those less so, and the current refugee crisis also highlights contrasting interests and attitudes. Opinions differ on how to interpret our fundamental common values”. This is the briefest and clear summary of the state of the Union that is included in the 25-page analysis of Dutch Foreign Minister Bert Koenders, presented in the Dutch parliament at the end of last year on the occasion of the beginning presidency. This website also wrote on the clash between centrifugal and centripetal forces three years ago. Now, however, this clash is much stronger and clearer and the stakes are much higher. If three years ago the issue was just about how quickly are we going to reach a deeper integration, now it is about the very survival of the Union. “With more than 500 million citizens and over 25 million businesses dependent on good governance, our Union stands or falls with legal certainty and equality under the law. The crisis atmosphere within the EU must not be allowed to encourage a ‘divide and conquer’ policy on the part of external parties”, says also the analysis by Bert Koenders. The confessions in his analysis follow one after the other: “Discontent regarding the 28 member states’ inability to solve problems jointly leads to Euroscepticism”. The Dutch presidency is undertaking the mission impossible of finding the balance between “strong European cooperation and maximum freedom for states to create their own policies”. Whether this analysis is shared by the other member states is an extremely important question, considering there is a different point of view – Euroscepticism leads to inability for common problem solving. Since the beginning of the presidency, several major problems have become evident, which will be the ones it will attempt to find solutions to. First of all is the refugee crisis with all the problems, resulting from it; the economic situation; rule of law and how it is interpreted in all EU member states; foreign policy; and the Union being too large. The latter was underlined several times in different statements. 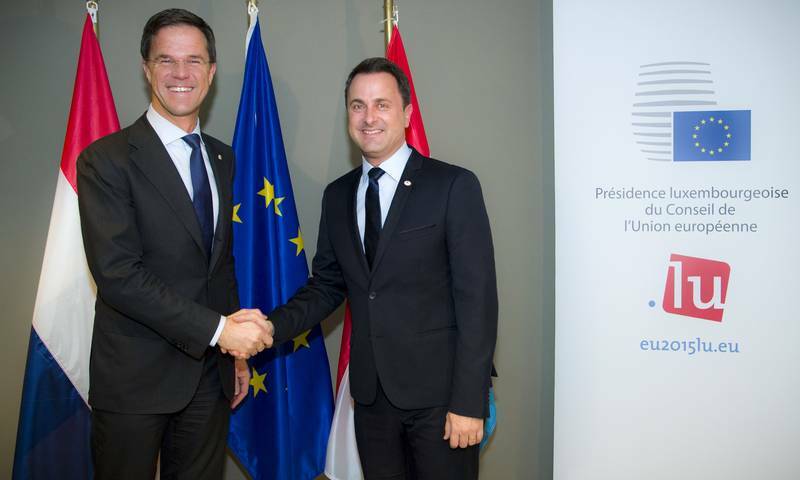 During the official launch of the presidency in Amsterdam last week, Dutch Prime Minister Mark Rutte (ALDE) mentioned several times that it is difficult to reach an agreement among 28 members. “But working together with 28 countries, each with its own history, its own interest is not always easy”. It is exactly because of this that he stated emphatically that in the next half a year there would be no new visions presented. Rutte added that even later no new visions should be expected of him. He and the presidency will focus entirely on the implementation of what has already been agreed on, which is entirely in the spirit of the priorities of the Commission, headed by Jean-Claude Juncker (Luxembourg, EPP). There have already been more than enough visions. The last one was presented last year. Word is of the five presidents’ report, published last June. The Netherlands is planning on working for using the existing framework of the Economic and Monetary Union “with particular emphasis on reforms and fiscal consolidation and deepening the single market. The Five Presidents’ Report offers pointers for the development of the EMU”, says the programme. The Netherlands will also be exceptionally strict about following the Commission’s recommendations of the European semester. It will be interesting whether The Netherlands will take over from Luxembourg in the organisation of meetings of euro area countries only in different formats, which caused strong discontent by countries outside the euro area last year. The presidency’s programme just says that “the discussions will continue during the Netherlands Presidency, with a focus on the benefits of more coordination between eurozone members and the importance of continuing collaboration with the EU member states”. This could be accepted for a hint in this direction. The novelty, which can be expected of the presidency, is an improvement in the functioning of the fiscal rules in the direction of simplification and transparency. Unfortunately, the programme gives no details, but a conflict is brewing in the EU once more between the supporters of a looser fiscal policy in the EU and those supporting the German attitude to public finances. During the refugee crisis, there were appeals for using the so called flexibility of the Stability and Growth Pact (the EU’s set of rules on fiscal behaviour) towards those states, whose budgets are strongly affected by the crisis. The EC promised that it will assess this issue on individual basis. Italy, however, is already talking about more serious changes. In several interviews over the last few days, Prime Minister Matteo Renzi (Socialists and Democrats) and his Minister of European Affairs Sandro Gozi announced Rome’s intentions to request changes in the Union’s fiscal rules, including changes in the founding treaties. Matteo Renzi directly throws a challenge to the German hegemony over European fiscal policy, thinking he is heavily armed with a good list of deep structural reforms behind him. His argument is that before Italy had no reason to criticise European policy, for it did not implement any reforms. This has changed now. The time when Europe could “lecture and give homework” is over, he said in an interview for channel one of the Italian TV (Tg1). According to Sandro Gozi, unless the EU changes it will fall apart. This is why deep changes are needed, he said in an interview [in Italian] for the Italian centre-left daily newspaper la Repubblica. The Netherlands is among the states, which insist heavily on discipline and are against frequent changes. The current attitudes of right-wing parties in the Union are that rules must be adhered to first. Economic subjects will be important, but will not be leading, as it used to be until a little more than half a year ago. Refugees, terrorism, and rule of law will occupy most of the Union’s time from now on. Dutch PM Mark Rutte announced that the refugee problem is extremely complicated and requires a common European solution. At the same time, he stated that work needed to be done towards reducing the refugee flow. “A Europe without internal borders needs common solutions in the area of justice, security, asylum and migration. The current European migration problem affects every member state and demands a decisive European solution. The threat of terrorist attack requires even better cooperation on security and investigations. 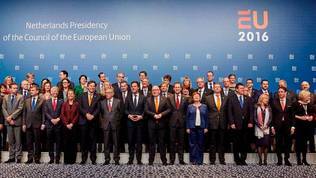 The Netherlands Presidency will strive to achieve a common European approach”. Those are, however, spheres that do not inspire appetites for supranational actions. Serious problems are expected considering the rule of law. The year started on the wrong foot with a conflict between the European Commission and Poland, whose new Eurosceptic government is charged with starting in the authoritarian steps of Viktor Orbán. 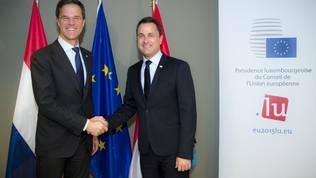 Dutch PM Mark Rutte addressed this issue cautiously, stating that he would rather give a chance to the new framework for rule of law, which has not been yet used, despite that there have been cases. From the Polish authorities’ reaction one could judge that this is going to be one heavy, difficult battle, which will underline the differences in the perceptions of European values to the East and West, North and South. The fact that The Netherlands will focus on the rule of law will most likely affect Bulgaria as well, whose report on the Cooperation and Verification Mechanism (CVM) is expected to be published by the EC at the end of January. The Netherlands was the first country to link CVM results to Bulgaria’s accession to Schengen. Until recently this was not an issue, but ever since the Schengen space was put to the test because of the refugee crisis, the issue returned to the agenda. It is highly unlikely that Bulgaria will be accepted during the Dutch presidency, regardless of the refugee trouble. It is possible, however, that CVM difficulties will receive more attention than they have been getting so far. It is obvious that the Dutch presidency will attempt to go along the line of least resistance by betting on existing rules in order not to stir the ghosts of Euroscepticism by an attempt to introduce new ones, seen as taking away of national sovereignty. The problem, however, is that Eurosceptic countries see the implementation of existing rules also as a strong interference of the EU in their internal affairs. The situation will further complicate at the end of the Dutch presidency, for the next state to take over is Slovakia – Eurosceptic on some issues, pro-European on others. Bratislava is Eurosceptic on the subject that is not expected to fall down from the top of the agenda soon – refugees. So the Dutch presidency could turn out to be the last of a series of calm and relatively consistent presidencies.